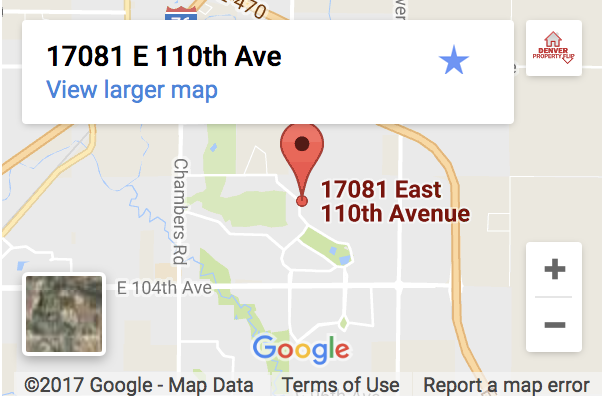 How to easily sell my property near Denver so I can move into a new house. I received an email this weekend from a man named Rick who is looking to sell his house in Denver and downsize to a patio home. He has the same “chicken or the egg” problem that most people have when they decide to move. Does Rick try to find a new house first, or try to sell his existing house first? If he tries to sell his house first, he may end up homeless or living out of a hotel room. If he tries to buy a new house before selling his existing house, he won’t have the money to close on the new house unless he is able to sell his current house right away. Rick has a few options. Let’s check them out. Option 1: Sell your property to a cash investor. 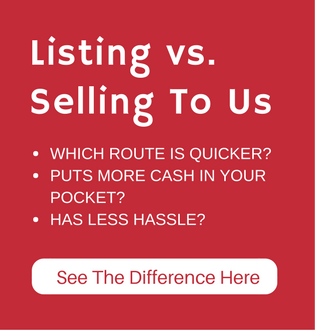 Rick can get offers from cash buyers who are flexible on when they will close on the house. After he finds the highest offer from a cash investor, Rick will that the piece of mind knowing that when he finds the perfect new patio home, the investor will buy his current house on the day that works best for him. On the down side, Rick will take a hit on how much money he gets for his current house. The convenience of the flexible cash offer often comes at a price tag of $30,000 or more. If Rick sells his current house to Denver Property Flip, we won’t have to factor in the contractor fees or realtor listing fee, but we’ll still have to factor in all the taxes, insurance, interest, title fees, utilities, and the buyer’s realtor on the resale. So even though we’ll offer him more than the other investors, Rick will still end up taking a hit of about $30,000. For example, Rick’s house would sell on the MLS for about $450,000. After paying realtor fees and commissions, rick would get $423,000 at closing. Denver Property Flip will buy Rick’s house for about $395,000. Rick ends up $28,000 worse off financially, but gains the flexibility and convenience of an all cash sale. Rick can have his realtor write offers contingent upon the sale of his current house. If Rick can get a seller to accept his contingent offer, he’ll be sitting in a great position. Now that Rick has a new home under contract, he can aggressively market his current house on the MLS, and even drop the price if needed, to get it sold quickly. It is difficult to get a seller to accept a contingent offer. Rick will likely have to submit LOTs of offers before he finds a seller willing to accept the contingent offer. There is the risk that Rick won’t be able to get his current home sold fast enough to close on his new contract. Rick’s worst case scenario is wasting a lot of time and effort just to end up right back where he started. Rick can sell his current property with a realtor and demand that potential sellers give him a two month lease back. This will allow Rick to sell his house and have two full months to find a new property after the sale. Rick would essentially become a renter in his own house for two months after it is sold. This gives him a two month buffer to find a new property. 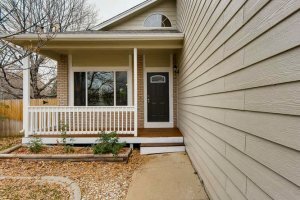 This is a unique option that Denver Property Flip offers. We use our money and resources to design, fix up, and sell your house at the top of your neighborhood market. This allows you as the home owner to earn the extra profit from flipping your house without doing any of the work or spending any of the money. Let’s use the numbers for Rick’s house as an example. If Rick sold his house on the MLS in it’s current condition, it would sell for around $450,000. In Rick’s neighborhood, after a $50,000 renovation, Rick’s house would sell for about $550,000. Rick would get about an extra $50,000 profit on his check at closing if he had Denver Property Flip fix and flip his house. Rick could use this option AND demand the 2 month lease back from the buyer that we discussed above to have lots of extra money and plenty of time to find his new house.